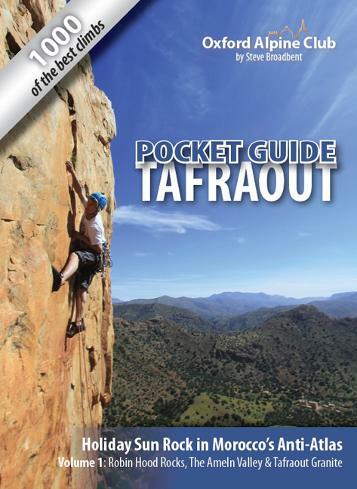 The Anti-Atlas mountains around Tafraout are a paradise of winter sunrock, where perfect weather, stunning scenery, and a magical Berber culture combine to create one of the most exciting traditional climbing destinations this side of the Atlantic. At the time of writing (2014) there are well over 2000 recorded climbs in the Anti-Atlas region, with new routes and new crags being reported every season. The definitive guidebooks to the area have, therefore, grown to a rather unwieldy size. 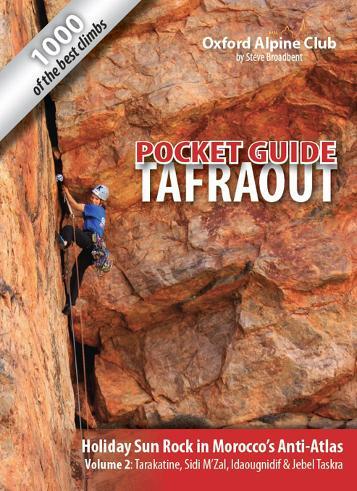 This, along with the fact that even definitive guidebooks to the Tafraout region tend to be ‘out of date’ within a few months, was the motivation for this latest series of pocket-sized, user-friendly guides to the best routes: guides that will be perfectly suited not just to teams making their first visit to the region, but many more repeat visits after that. 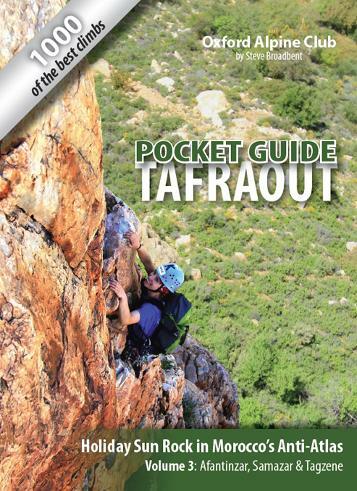 The result, we hope, is a guide that makes it easier than ever for visitors to make the most of their time in Tafraout, whether they’re looking to spend five days savouring the very best classic lines, or two weeks exploring the mouth-watering variety of cragging and mountain adventures which the Anti-Atlas have to offer. The A6 format means these books really can be carried up long mountain routes, but full-page topos are just as big and clear as other guidebooks. The unique flexible plastic binding means you can fold the book back on itself, open at the topo for the route or sector that you're climbing. Sometimes you end up climbing with the kids, and for that you need practical advice about where's best to go.